If you work in the transportation industry (as a railway, airline, bus, or trucking company employee) AND your route requires you to travel outside your employer’s municipality or far enough away that you can’t return home at the end of the day, you might be able claim a deduction for your meals and accommodation expenses using form TP-66-V as long as these expenses weren’t already reimbursed to you by your employer. If you have multiple employers, you’ll need to enter the information for the work you’ve done and the expenses you paid while working for them separately. Note: If you’re going to be claiming the cost of meals and lodging that you had to pay as a long-haul truck driver on your tax return, you’ll need to get your employer to fill out and sign Part 2 of a paper TP-66-V form. Keep this in your records in case the Revenu Québec asks to see it later. As a transportation employee, you might also be able to claim a Québec sales tax (QST) rebate if you had to deduct these expenses from your employment income. 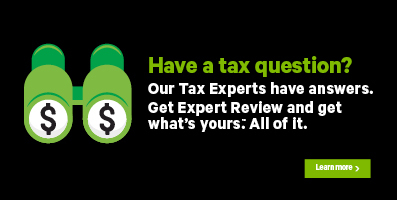 Federal return: To claim a deduction for your meals and accommodation expenses on your federal return, you’ll need to complete the TL2 page of H&R Block’s tax software. What type of record-keeping method do you want to use? Note: Currently, our software only supports the detailed method; please select detailed in the drop-down on this page. Batching: Use this method if you are part of a work crew, and you buy groceries and prepare meals for yourself and for the members of the crew. You’ll need to keep records of travel and receipts if you’re spending more than $34 per person, per day. You don’t need to keep your receipts on file, provided you have all of the information noted above. Use this link to see more detail, and to help you determine the number of eligible meals based on your selected method of record-keeping. Under Employment expenses (home office, tools, etc. ), credits or deductions related to your job, and employment income that’s not shown on a slip (tips, royalties, etc. ), click the Add this button. Under the EXPENSES heading, select the checkbox labelled, Employment expenses of transport employees (TP-66-V) then click Continue. When you arrive at the TP-66-V page, enter your information into the tax software. What’s the difference between long-haul truck driving expenses and other types of travel expenses? Revenu Québec classifies you as a long-haul truck driver if it’s your main job to drive a truck or a tractor that weighs more than 11,788 kg, and you are driving the vehicle for the main purpose of hauling or transporting goods. Eligible periods for travel for long-haul truckers must be at least 24 consecutive hours away from home and driving to a location that is at least 160 kilometers away from your employer’s place of business. The information that you'll enter on this page depends on the type of record-keeping method that you select. For more information, and to help you select a record-keeping method and answer all the related fields correctly, please click here.